The Golf Course in Sun Peaks Resort is a 18 hole par 72 designed by Graham Cooke. 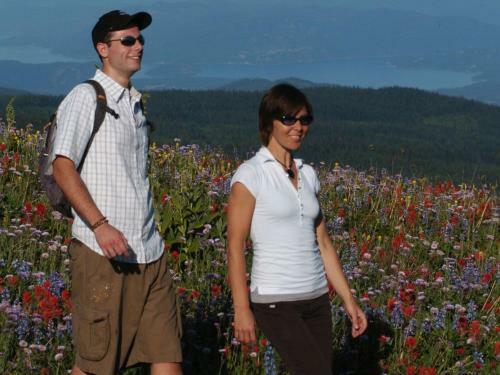 There are hiking trails throughout Sun Peaks. The Sunburst Chair is open in the summer for lift access hiking. Downhill Biking in the Sun Peaks Bike Park offers 2000 feet of lift access trails. X Country Biking trails consists of single track and double track trails. McGillivray Lake has canoe and kayak rentals. Voyageur Canoe Tours are done on McGillivray Lake as well. 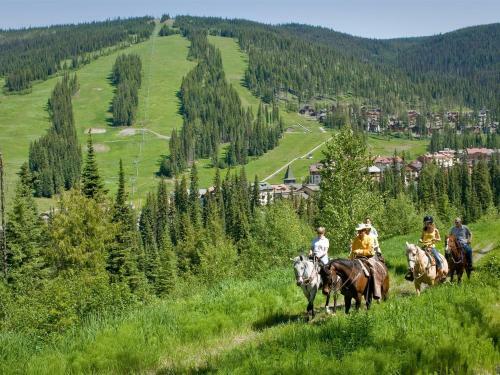 Horseback Trail Rides is a great way to explore Sun Peaks Resort. 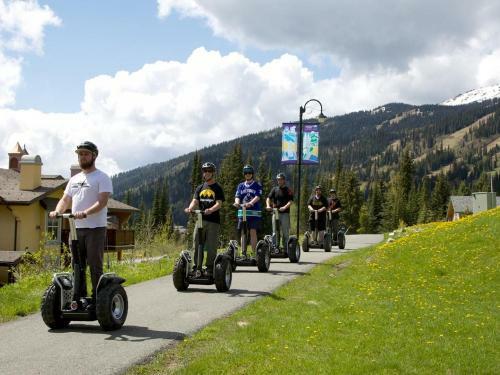 Off Road Segway Tours is a great way to explore Sun Peaks. Traveling through the wonderful alpine scenery. Swimming at Heffley Lake is a great way to cool off. 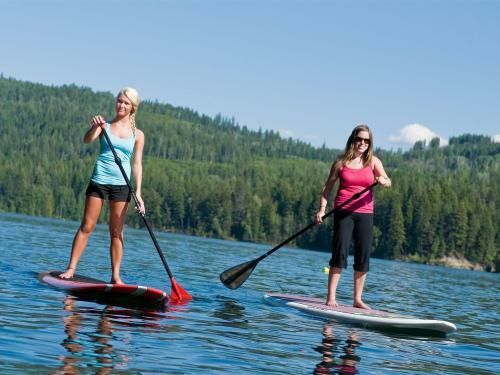 Stand Up Paddle Board rentals and lessons are available on Heffley Lake. 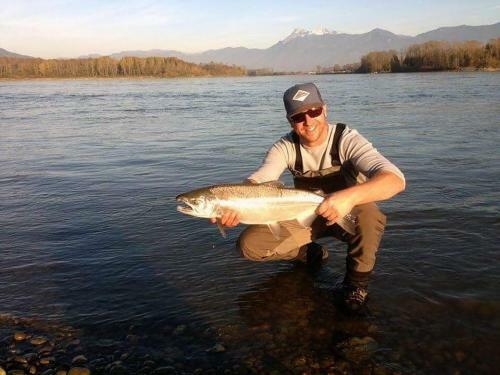 Fast Action Fishing Adventures is here in Sun Peaks. 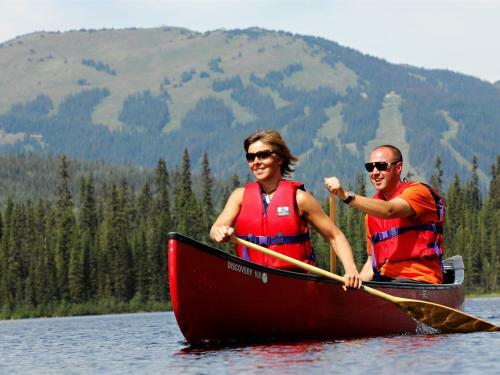 This is a great way to get out on one of the many lakes and rivers around Sun Peaks. 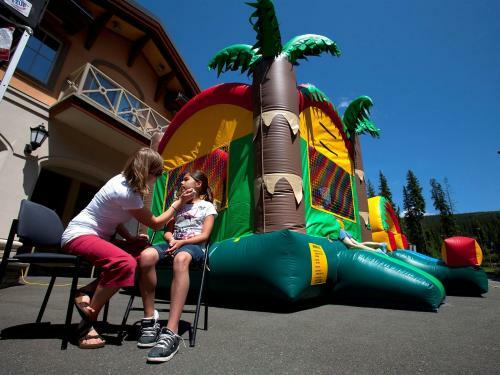 Bouncy Castle, Games Center, Playground and the Bungee Trampoline are great for the kids. 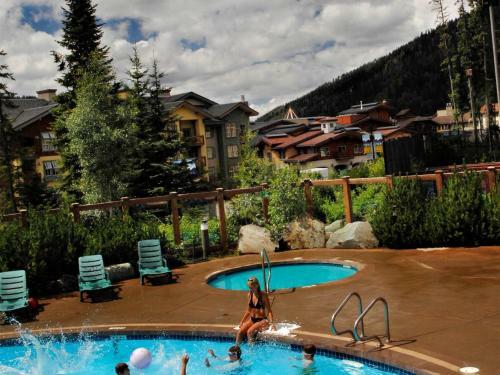 The Sun Peaks Sports & Aquatic Centre is open in the summer season. There is an outdoor pool and 2 tennis courts. Mountain Cross Carts at Sun Peaks is the most exciting and exhilrating way to decent the mountain.